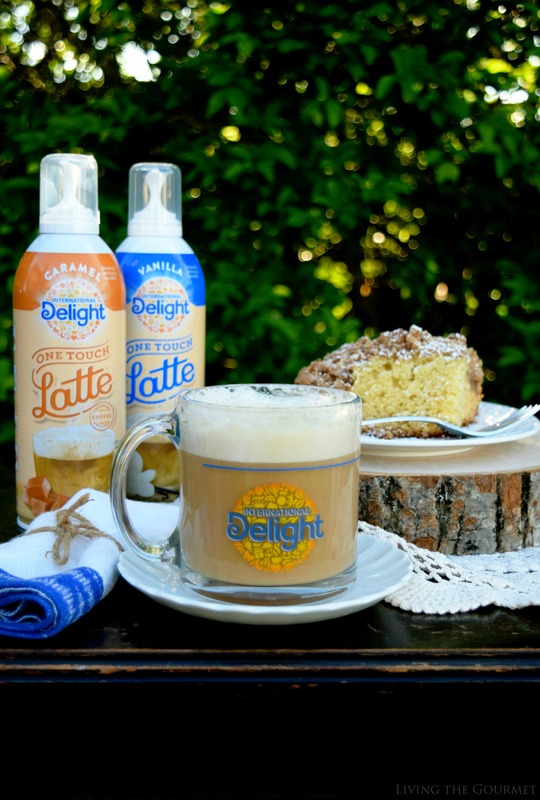 Relax on these early Summer days with a Cold Brew Latte featuring International Delight® One Touch Latte™ and a slice of homemade New York Style Crumb Cake! Fantasy. Fantasy turned real. Little pleasures. One of our most powerful weapons as a species is our ability to fantasize. Ambition, creation, distant desire, and even fear of the future, are all products, at least in part, of our ability to imagine that which ought not be real. At first, we looked at forests and barren plains, and imagined artificial constructs wrought of stone, wood, and iron – we ‘imagined’ that nature ought bend to the electrical impulses storming between our ears. Today, we look at our machines, and we imagine that they ought be able to think for themselves, that life can be conjured from circuitry – and so the wheel of progress, at times bizarre and fantastical, continues to turn. Our human minds, in that regard, make us wizards of a sort. My bit of ‘wizardry,’ a few afternoons ago, however, didn’t involve palaces or living machines, instead I found myself at my desk staring lazily at my very drab, very stale, lukewarm coffee and wanting…well, wanting something more. At first, I imagined my coffee being of the ‘cold brew’ variety, as the muggy onset of ‘Summer in New York’ begins kicking into full gear. Then, of course, I imagined a ‘latte-fied’ version of that cold brew fantasy. Of course, however, busy afternoons hardly lend themselves to playing the part of a self-service barista. Instead, to make such a mundane ‘fantasy’ reality, it suffices to say I would need a little help. 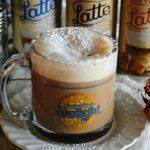 Now, if you remember some weeks ago my daughter introduced me to a delicious little product called International Delight® One Touch Latte™, which she discovered at Walmart, the very first frothing coffee creamer available on the market, which you can purchase in vanilla, caramel, and mocha flavors. 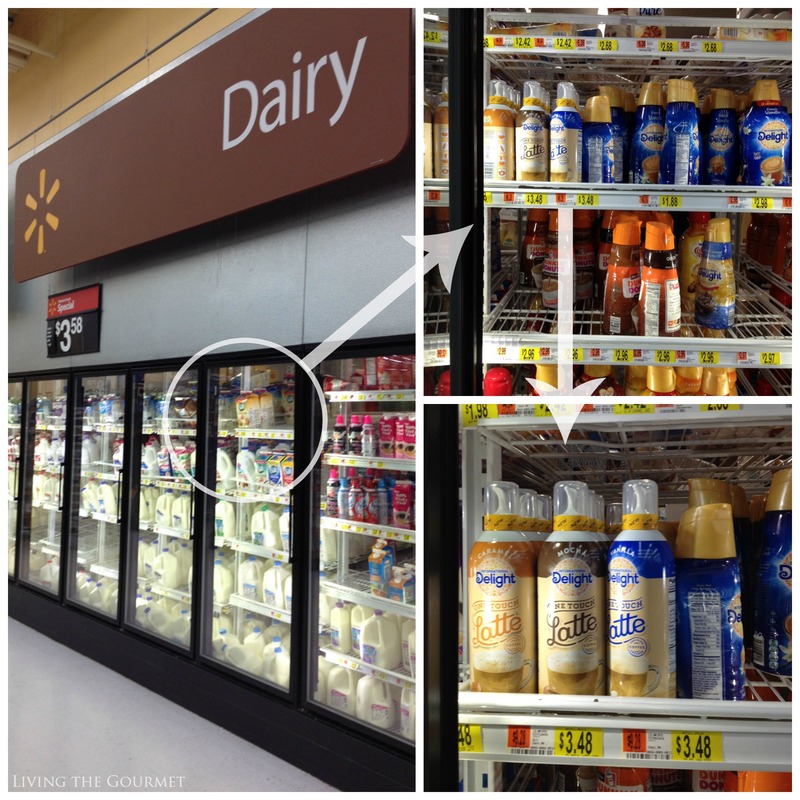 Now, the best way to explain this product is simply as ‘froth in a can.’ What does that mean? 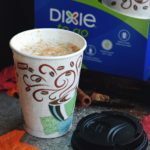 Simply put, take a normal cup of coffee – perhaps the very same cup of bland coffee you’re suffering through while reading this. However, we’re not going to use that coffee. 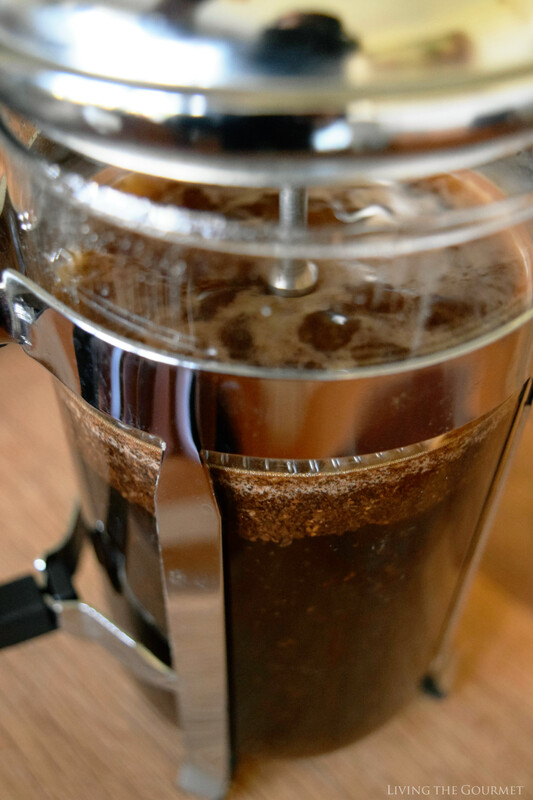 Instead, we’re going to use my caffeinated beverage of choice for the summer season – French Press Cold Brew Coffee. 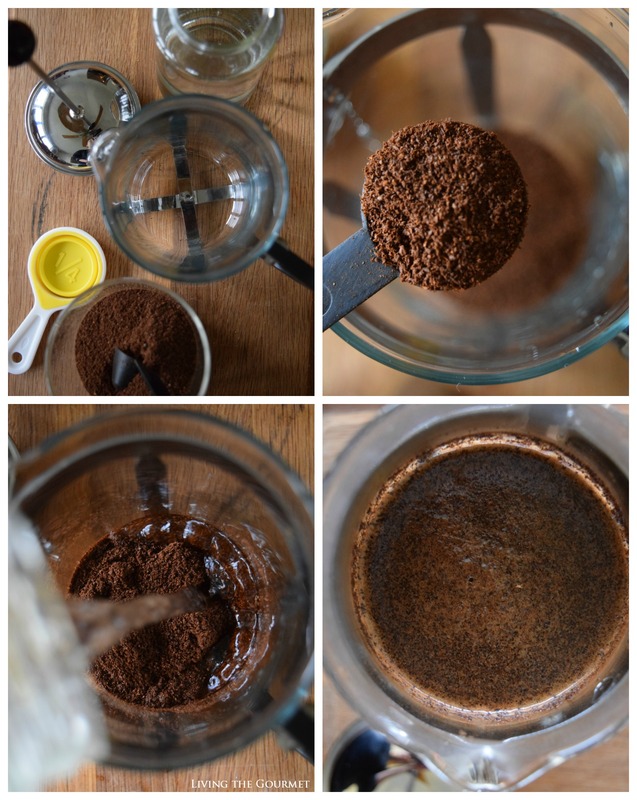 To prep the cold brew coffee – this actually couldn’t be easier. 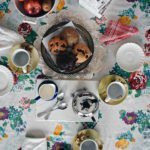 First things first, we start off with a French Press, and scoop in about one heaping tablespoon of coffee per six ounces of water. Then pour in cold water, this should create a nice ‘crust’ of coffee at the top. Stir the coffee to incorporate. Once that’s done, it’s going to need to sit in the fridge overnight. One the coffee has steeped overnight, set the plunger over the top of the coffee and carefully press down to separate the grinds from the coffee. 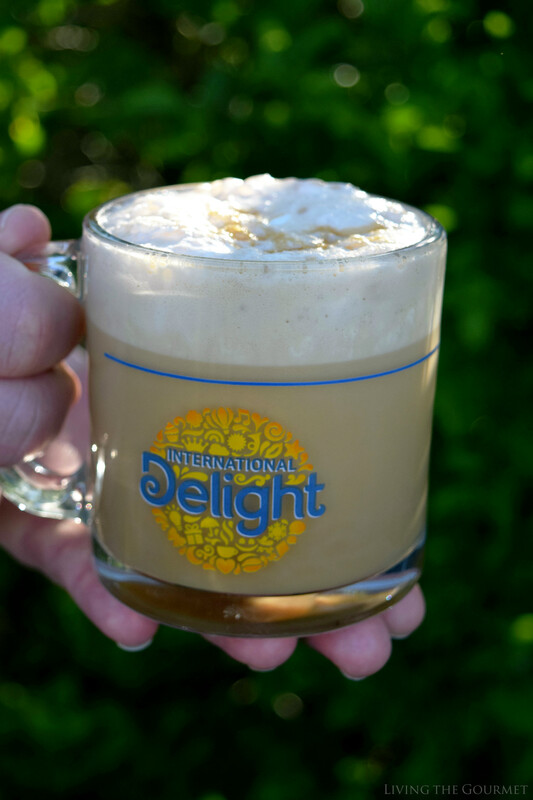 Fill your preferred mug about a third of the way full, then using your preferred One Touch Latte™ flavor, press and hold the nozzle for about 5-7 seconds into your coffee, and just like that you’ve got a cold brew latte – no barista skills (or time) required. 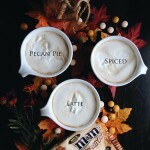 At seven uses per can, you have veritable ‘latte heaven’ at your fingertips. 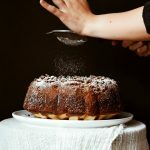 Now, being who and what I am, inside of this life that I have chosen, I would never be satisfied with ‘simply’ a latte, and of course while I couldn’t find time to be my own barista – I certainly found time to be my own baker, and that’s precisely where today’s recipe comes in – New York Style Crumb Cake. To begin, I shall warn you that this is neither a simple nor a light recipe. And both of those are good things in this context – trust me. 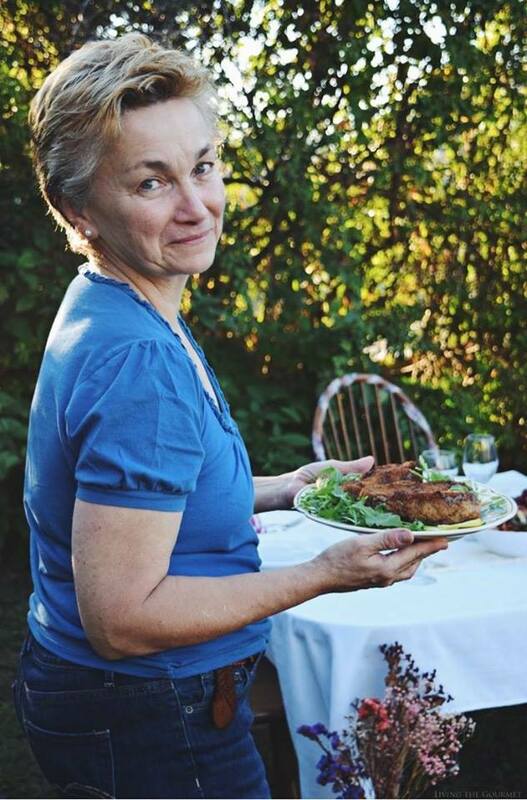 We begin with the crumbs. In a medium bowl, mix together dark brown sugar and the granulated sugar, salt, and cinnamon outlined on the recipe card. Then whisk the melted butter, and fold in the flour until it’s well absorbed, and set this aside. Now we’re going to mix together baking powder, salt, flour, and baking soda, and sift that until it’s fine and set aside. Using a mixer, you’re going to need to beat the butter listed below until it’s silky or ribbon-like, and add in the sugar, and then continue beating until the butter is nice and creamy. Think over-beaten whipped cream. Now crack in the eggs one at a time as you continue beating. Once that’s done, add in the sour cream and the vanilla, beat again, and then it’s time to add in the dry ingredients. It’s best to do this in three or four portions, beating between each portion. We come to the part you’ve been waiting for – putting it all together. First, prepare a glass pan as shown below, and then pour the batter into the pan. Now, prepare to get messy, and began scooping chunks of the crumb batter in your fist, and then break off chunks onto the top of the batter, and continue this process until it’s completely covered. Keep in mind, the topping will look quite thick, but this is the effect you’re going for. In a medium sized bowl combine the brown sugar and the granulated sugar, salt, and the cinnamon. Fold in the flour until it is fully combined and set the mixture aside while preparing the cake. In a large bowl, sift together the flour, baking powder, baking soda and the salt. In a separate bowl using an electric mixer, cream the butter until it is smooth; then add the sugar continue to mix to a light, smooth consistency. Add the sour cream and vanilla and continue to mix. 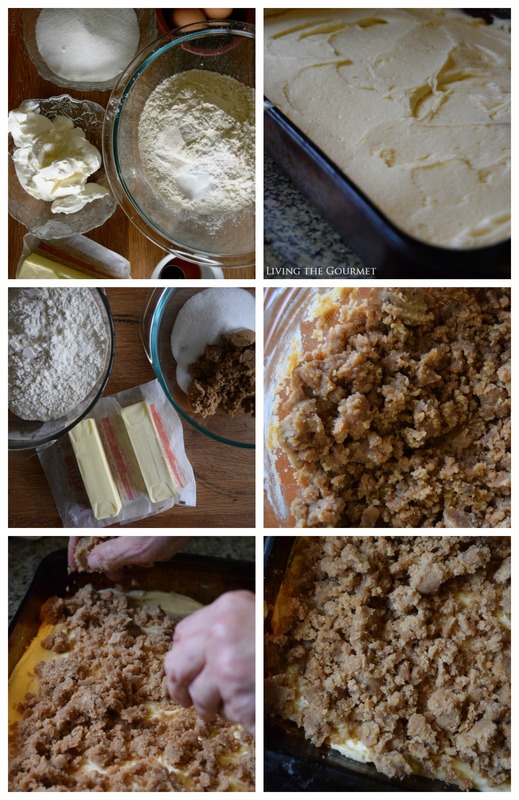 Butter a 9 x 13-inch glass baking pan. Take a handful of the topping mixture and make a fist. Break off chunks of the topping and place them over the cake. Repeat this process using up all the topping. Bake 45 – 50 minutes or until the toothpick test comes out clean. 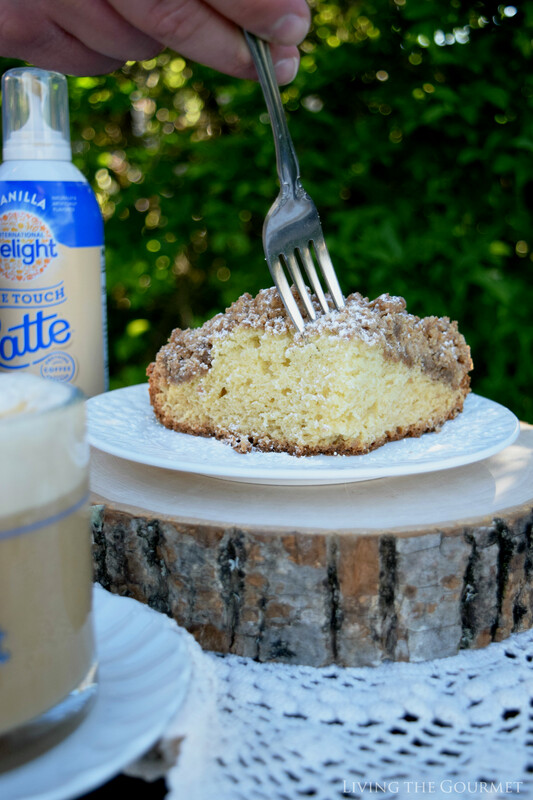 Once the cake has baked and is cooled, finish it off with a generous dusting of confectioner’s sugar and you’ve got a New York Style Crumb Cake ready to pair with your cold brew coffee. This needs to happen! This looks so unbelievably great! Never had cold brew but I have been wanting to try it as I've heard so much about it. 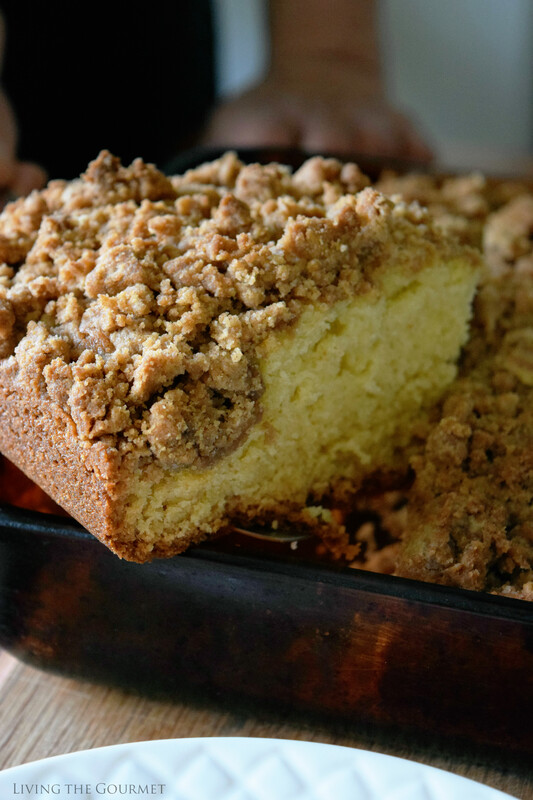 Love, love the New York style crumb cake. This article is really contains lot more information about This Topic.